Jose Mourinho has sung the praises of midfielder Ander Herrera, saying he believes the Spaniard will be with him for almost every match. Herrera has been a regular under Mourinho since the Portuguese arrived at Old Trafford in the summer. He has already made four starts, and has come off the bench on two occasions – one of which was the the Manchester Derby, wherein United collapsed against their neighbours in the first half. “For example, Ander Herrera came on in the second-half and he was the one who allowed us to recover the ball fast, to press higher, to bring the team higher, to recover the ball, to build a new wave of attack, to put another long ball into the last line. Herrera signed for United in 2013, and arrived alongside Dutch manager Louis van Gaal. However, the midfielder was seen more as a club signing than a player picked out by the manager, as United had been keeping close tabs on Herrera for quite a while before he eventually signed for them. The fact that it wasn’t van Gaal who decided to bring him in was obvious, as he struggled to get game time under the Dutchman. Herrera is a player who likes to play quick, free-flowing and risk-taking football, which was the total opposite of what van Gaal’s ‘philosophy’ was all about. However, after van Gaal got sacked in May, Jose Mourinho was brought in, and the new boss was impressed by the Spanish midfielder. He has been trusted by the 53-year-old boss, and Herrera is repaying that trust with solid performances. 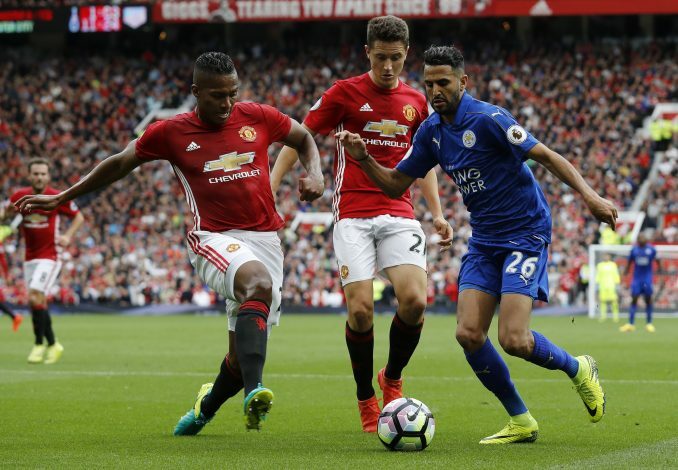 The 26-year-old was superb again as United ran away with a 4-1 victory against Premier League champions Leicester City at Old Trafford on Saturday, and Mourinho admitted that the Spaniard is likely to always be in the squad, either on the bench or starting from the get-go.